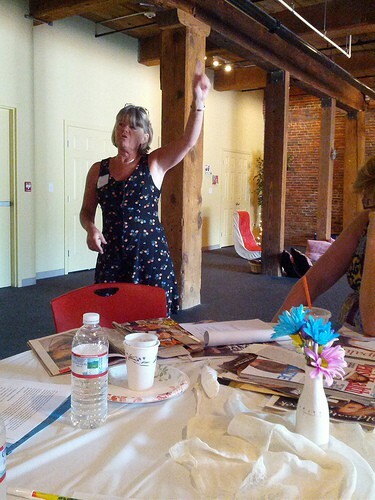 Lead a Workshop Session at the Next Teacher Art Retreat! 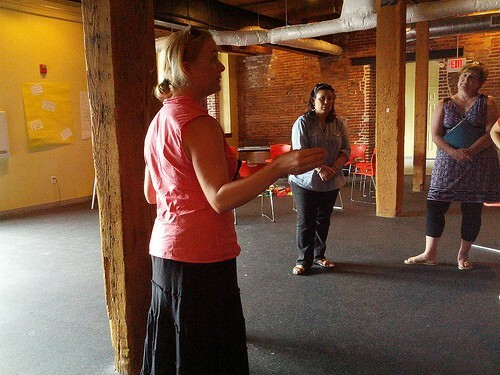 Would you like to present at the next Summer Teacher ArtsInt & STEAM Retreat? Do you have a talent or idea you’d like to share with other teachers? Are you inspiring your students with an art form? Do you and a colleague want to share your success story with others? Would you like a complimentary registration to attend the Teacher Art Retreat this summer? 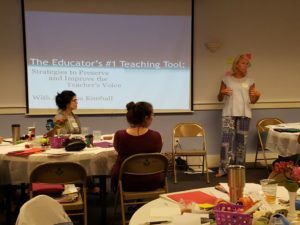 The Inspired Classroom is looking for educators to present ideas and share their art-infused talents during sessions at the next Summer Teacher ArtsInt & STEAM Retreat. These sessions may revolve around visual art, music, drama, storytelling, movement, dance, poetry or any other art form. These workshops should be 2 ½ hours in length and actively involve the participants, giving them inspiration for themselves and their teaching and ideas to bring back to their own classrooms. The presenters of these afternoon sessions will receive one complimentary registration. Want ideas? Have participants create something, play a game, get up and move, make some noise, draw or write, take pictures, make a movie, work with others … The emphasis should be on having participants DO what you are presenting. Educators are welcome to submit more than one proposal. Accepted proposals include one complimentary registration for the Teacher Art Retreat 2018. Practitioners may submit proposals with multiple presenters, but only one complimentary registration will be given for an accepted proposal. You can submit your proposal online. If you prefer a different method, please contact me. Scroll down, fill in the necessary information and click submit. Deadline for submitting proposals is March 17, 2018. The proposals will be anonymously reviewed by a panel of teachers and you will be notified of your proposal’s status by March 31st. We base our decisions on the quality of ideas, level of participant engagement, and a balance and variety of art forms to be presented at the retreat. If you have questions about submitting your proposal, please contact Elizabeth. Johanna presents at T.A.R. 2017 on Vocal Health for Educators. If you are interested in presenting at the upcoming Summer Teacher ArtsInt & STEAM Retreat, please fill out the following information. In 50 words or less. This would be used in print marketing for the retreat. Please add any details about your workshop here. Please tell a bit about yourself (preferably in the 3rd person).